Enjoy the German atmosphere here in Hermann, MO during the afternoon and a relaxing evening in one of Hermann Hills Riverbluff Cottages over looking the Missouri River. 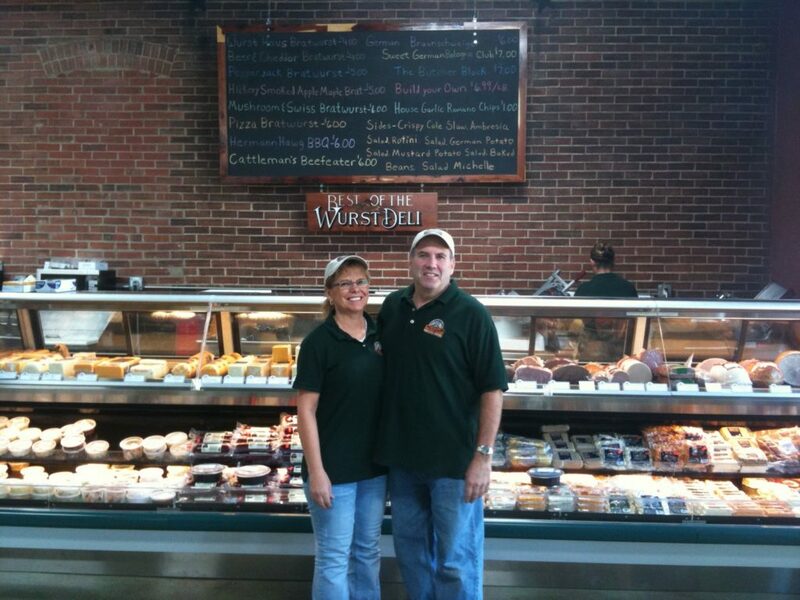 On June 22, 2013 there will be a sausage making class at Hermann Wurst Haus. Wurstmeister Mike Sloan is a two-time hall of farmer and he will show you how sausage making is done. This is a VIP event that begins at 2 pm. Reservations are required. Tickets are $35 and it includes a beer and bratwurst tasting, Wurst Haus apron and two pounds of sausage that you make. This class is limited to 16 people so hurry and reserve your spot. If you are not interested in the class but still want to enjoy some delicious bratwurst you still have a chance. Enjoy a German Buffet on Saturday June 22 and Sunday June 23 at the Hermann Wurst Haus. There will be bratwurst, schnitzel, currywurst, German potato salad, sauerkraut, red cabbage and dessert. We here at Hermann Hill Bed and Breakfast Vineyard and Inn hope you enjoy your weekend in Hermann, MO learning how to make sausage and eating delicious German style food.